Here’s another taste of the ‘fundamental change’ President what’s-his-name had promised. Where are all those ‘Separation of Church and State’ radicals now? 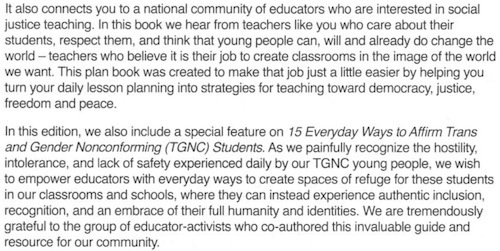 In Portland — of course it would be Portland — there is a new teacher’s handbook. It’s chock-full of inspiring quotes, and important dates like holidays (Except Thanksgiving. 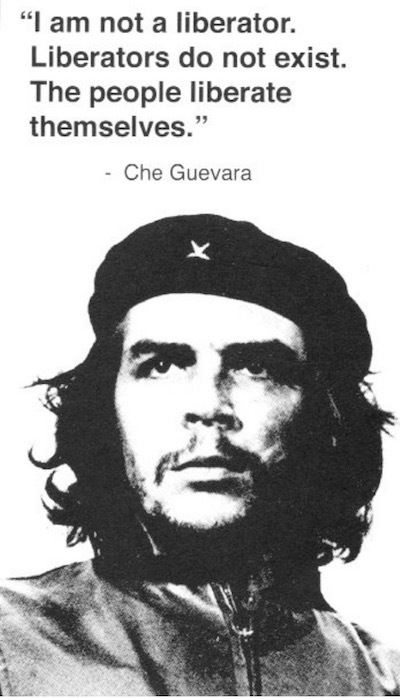 That’s now called ‘National Day of Mourning’), anniversaries of protests, and quotes from such wonderful and inspiring people as Che Guevara or founders of the Black Panthers? Objection to the ideas or indoctrination of’See You ta The Pole’ events are so yesterday. 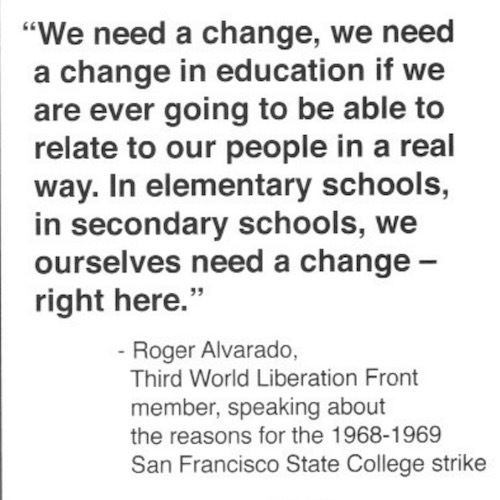 Now they WANT indoctrination and activism. It just has to be the ‘right kind’ of indoctrination. So long as the thing they’re being indoctrinated by is not aligned with traditional Western values or culture, it is A-OK to this crowd. … you know anything they do that breaks news is going to be a real gong show, right? Buckle up. 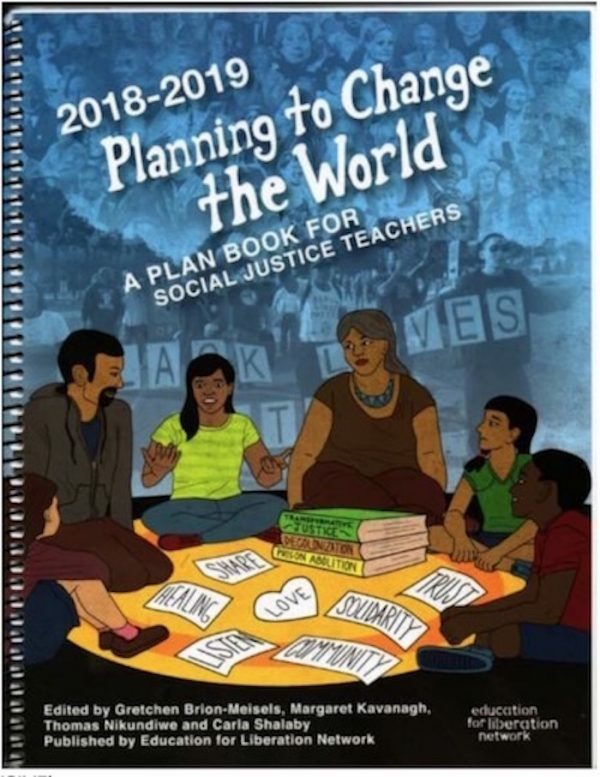 They published a “plan book for social justice teachers”. Because the most important thing for kids to learn is NOT math, science, or a solid grasp of language skills. The most important thing is raising up a generation of rabid activists. 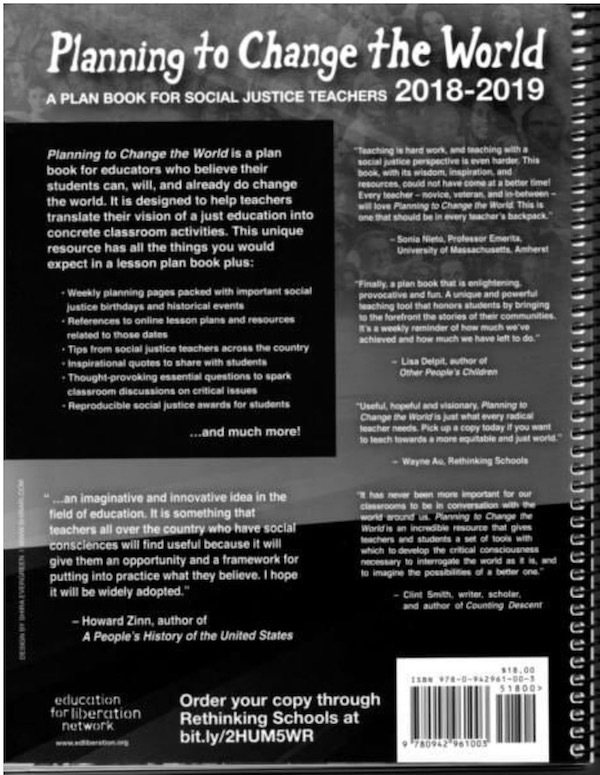 Planning to Change the World—an annual lesson plan book for social justice teachers that features birthdays and anniversaries from the history of the struggle for justice, references to resources to teach about those dates, inspirational quotes, essential questions and much more. 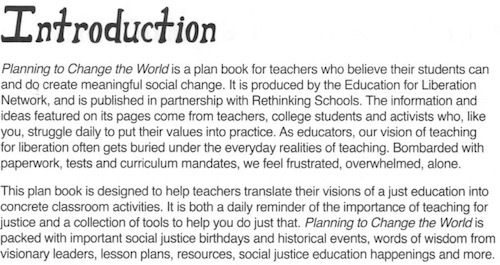 They were the organization who produced the book and described themselves this way. Picking one city at random — Baltimore — how well are the students doing, that teachers think they can divert attention from more traditional studies? Can the content REALLY be that bad? It tells you that Wednesday August 1 is the birthday of the founder of PETA, that the British slaughtered people in India on April 13, when Islam’s Eid formally begins (sunset on 8/20), the 60th anniversary of the closure of Little Rock schools, the 30th Anniversary of the CANADIAN apology for their Japanese Internment. And, naturally, the celebrate the 30th anniversary of Palestine declaring independence. (November 15) They forgot to mention the Charter of Hamas pledging the annhilation of the Jews, or that they have affirmed this goal has not changed. It’s almost like they’re conditioning people to be perpetually angry and aggrieved. Because life never goes badly for people with a perpetual chip on their shoulder, right? Are there some of the inspring quotes by someone like FDR, Helen Keller, Frederick Douglas or Henry David Thoreau to inspire students to strive for greatness? Not exactly. They’re working from a different list of inspirational figures. Who else are they celebrating? Is this the kind of ‘education’ that will give graduating students a level playing field, and an even shot at getting into good careers? Or are they more interested in churning out protesters and aggrieved activists? Hat tip to GP, who seem to be the first ones to spot this story and make it public.